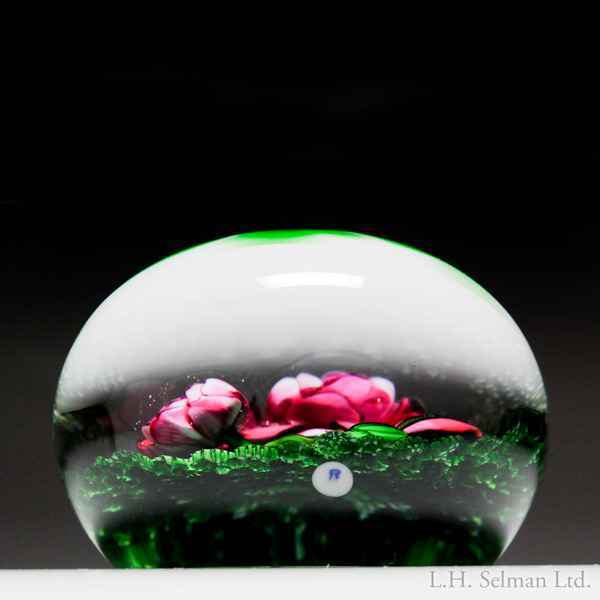 Ken Rosenfeld 1989 roses on moss ground paperweight. A large pink rose, her petals unfurled spaced leaves peeking out from behind, shares her stem with a smaller sister and with a companion bud still tightly sheathed and waiting. A few leaves soften the base of the design against a moss ground. Signature cane. Signed/dated. Diameter 3 7/16".